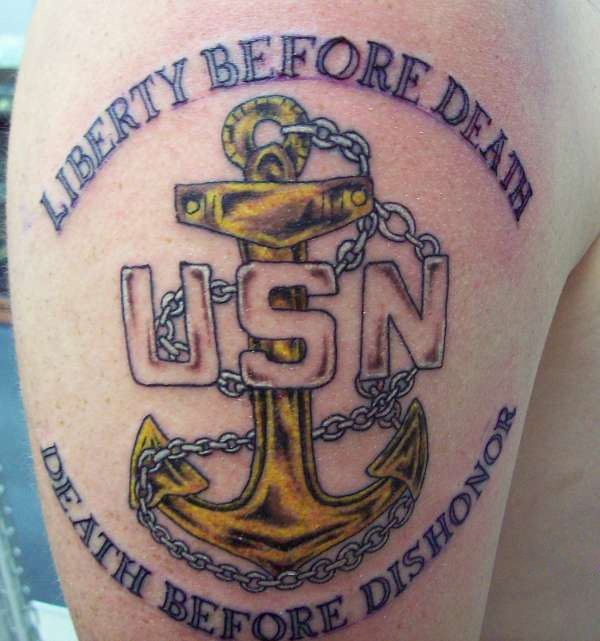 Tattoos have been popular in all branches of the American military for over 100 years. 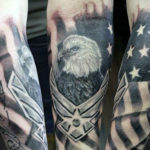 Whether the tattoos are for showing off military pride or remembering a fallen comrade, getting inked as a serviceman or servicewoman has a rich history. 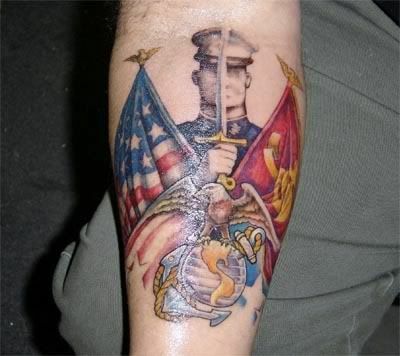 It probably comes as no surprise, then, to learn that patriotic symbols are common to just about every branch. 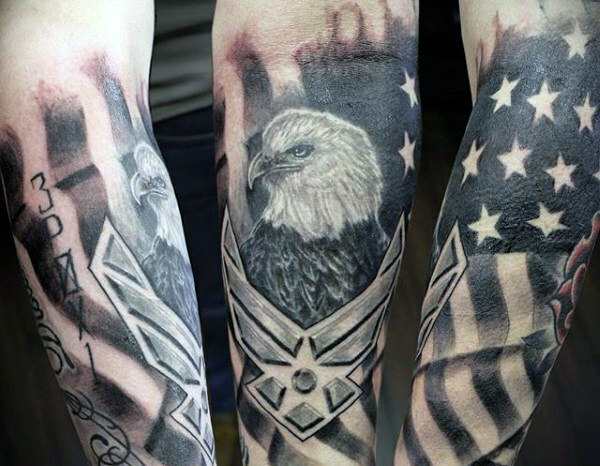 American flags and eagles are among the most popular symbols to make their way onto a soldier. 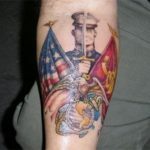 However, each branch of the armed forces has developed their own special breed of favorite symbols. 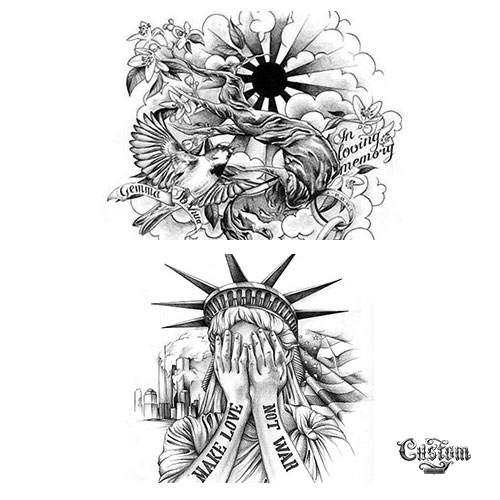 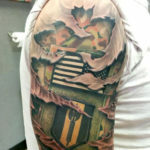 Here's a look at some of the most popular tattoo themes by branch of service. 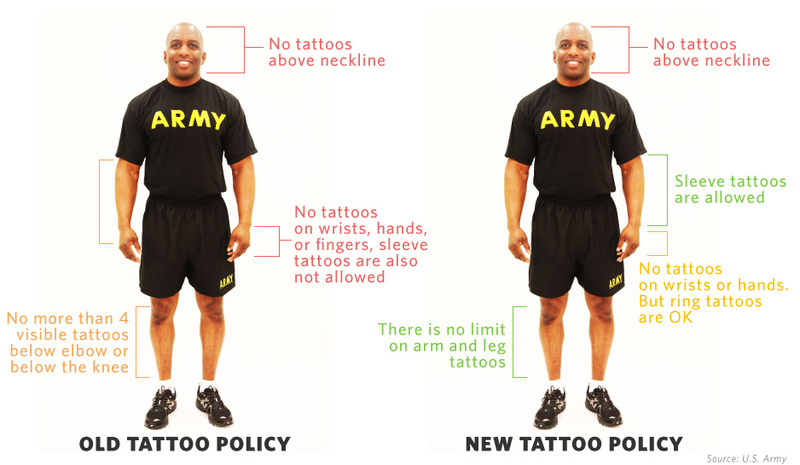 (See Army Policy) According to the Army’s website, about 90% of the members of this branch have at least one tattoo. 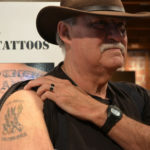 That’s a huge percentage when one considers that the national average for people aged 18-40 is 38%. 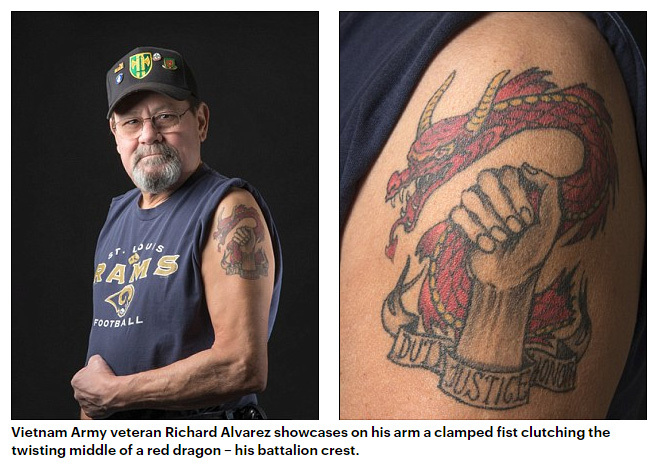 “Pride in service” is among the most common themes, including a wide range of tattoos honoring a warrior’s life. 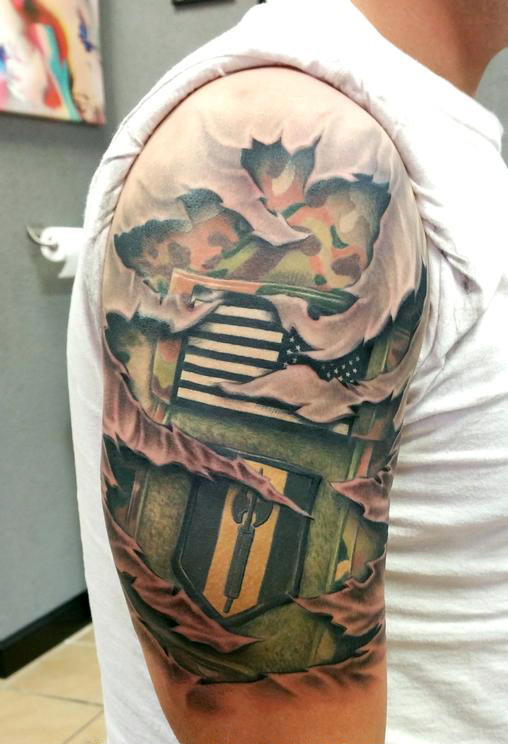 Members of the Army also often honor their units in ink, as well as their occupational specialties. If you look closely at many Army tattoos you may learn a lot about their time with the service. 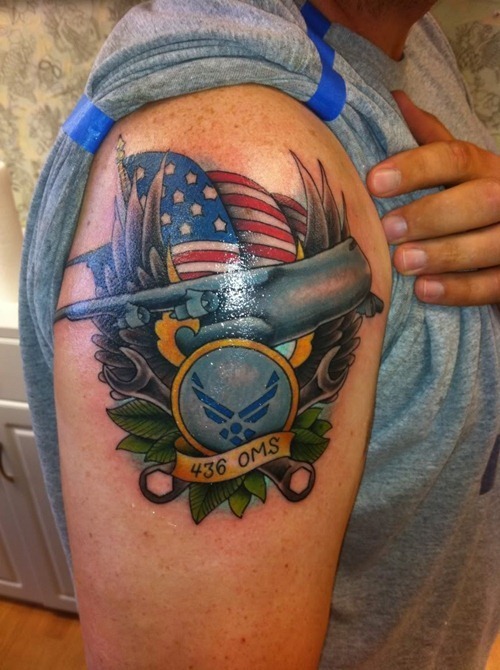 Memorials for lost comrades and friends serve as a permanent tribute to those who have made the ultimate sacrifice. 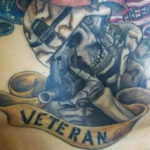 Because of their general permanence, tattoos provide a personal memory that lasts as long as the bond formed between two comrades. 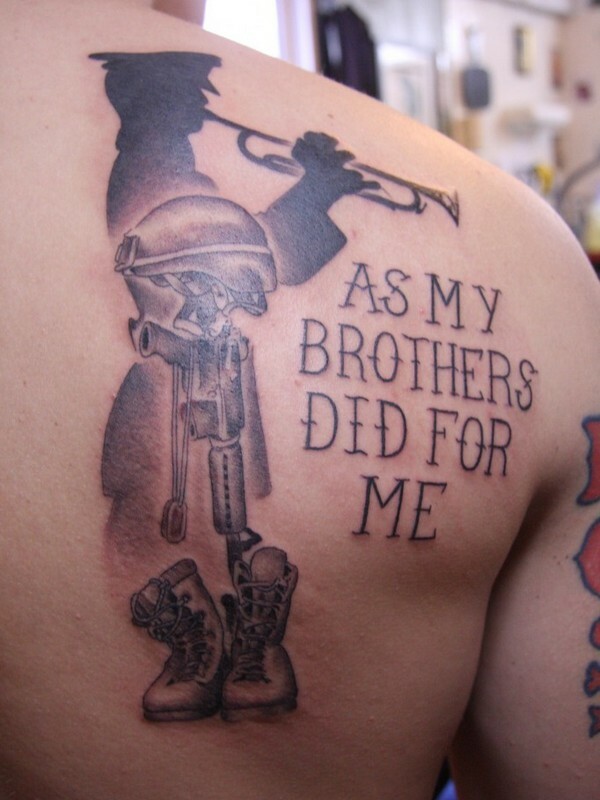 Often these memorial tattoos are portrayed with crosses topped by a helmet. 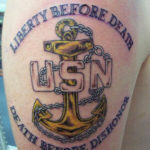 Traditional Naval tattoos offer a gamut of symbolism. 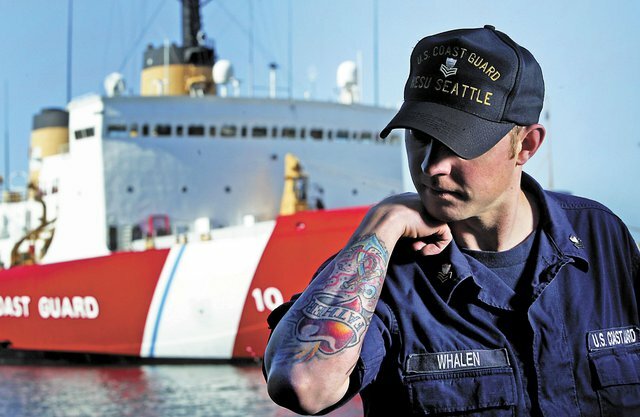 In the Navy, a tattoo is a good luck charm, a prayer for a homecoming, a celebration of all the places a sailor has been, and an expression of pride in the nautical life. 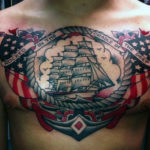 Swallows, anchors, the compass star, and boats all help to express some of these themes. 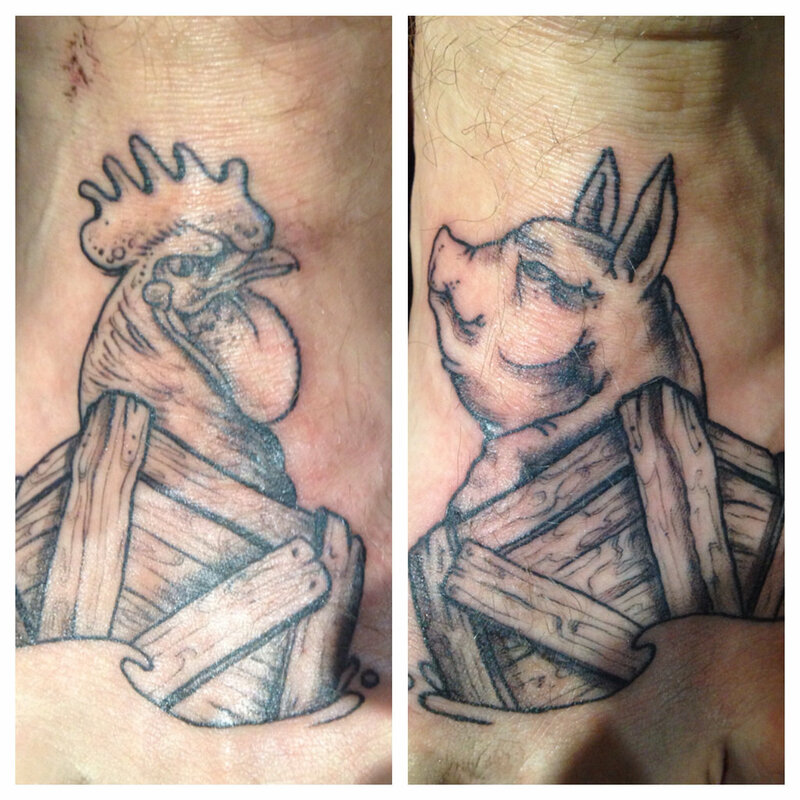 Superstition abounds among sailors, as represented by the pig and chicken tattoos, which are thought to prevent drowning, as these animals were often the last living survivors of a sunken ship, due to their floating wooden crates. 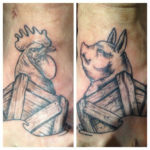 Of course, there’s room to have a little fun, too. 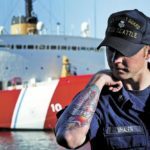 One must not forget that it was sailors — men trapped at sea without female company for months on end — who made the quintessential pin-up girl tattoo so very popular! 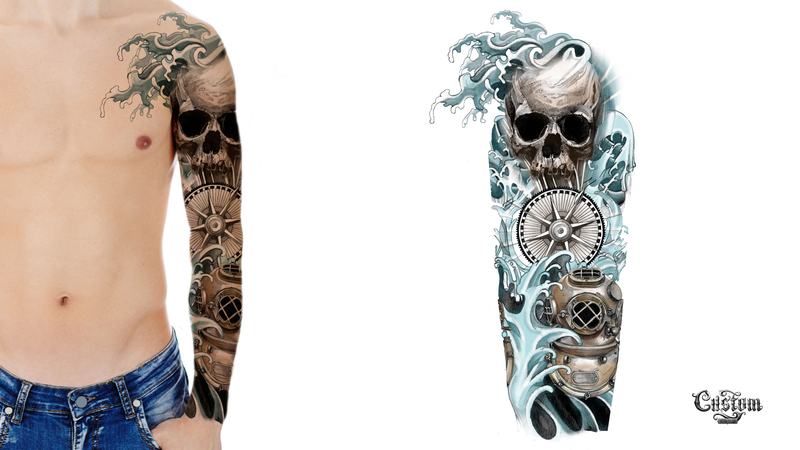 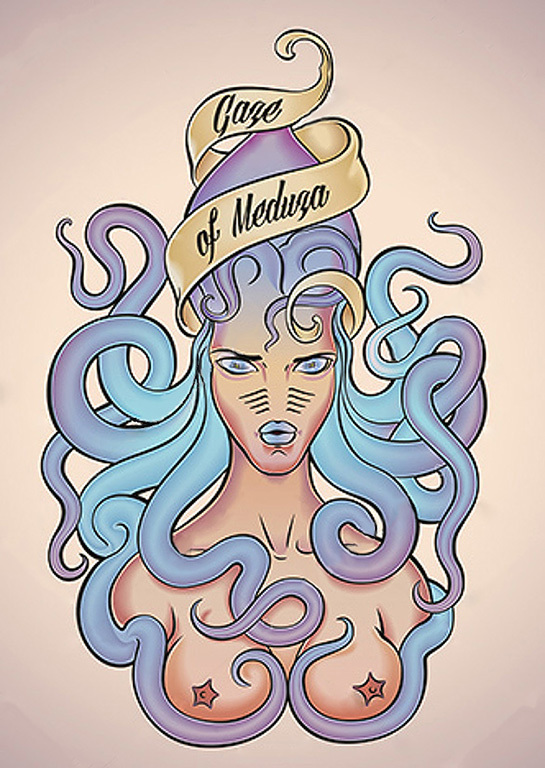 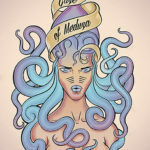 Additionally, some tattoos serve as a reminder that the sea can be both attractive and deadly. 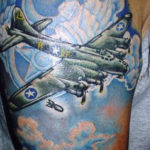 (See Air Force Policy) It’s probably no surprise that members of the Air Force like to use flight-related themes in their tattoos. Birds in flight, especially birds of prey, are an extremely common symbol. 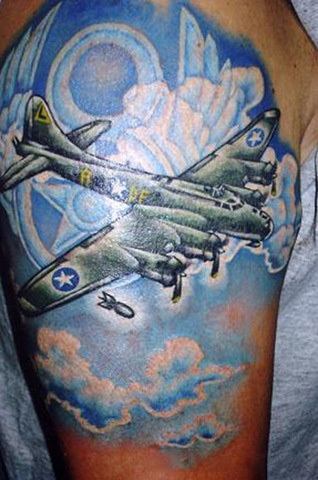 Planes, bombs, and the letters USAF all make their marks on many Air Force tattoos. 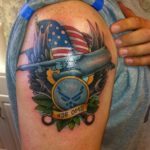 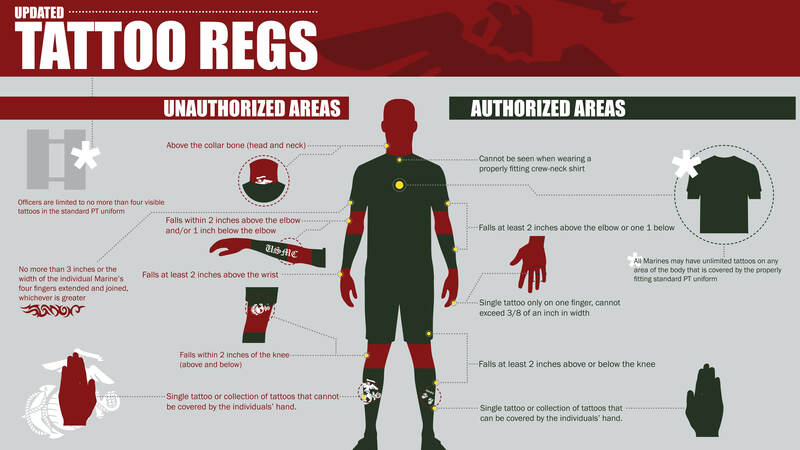 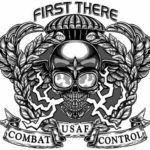 The Air Force announced a change in their tattoo policy as of February 1, 2017, and will no longer limit the size of airmen's body tattoos, in a significant shift that opens up the door to popular sleeve tattoos of the arms and legs. 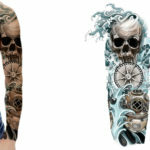 The service is axing its "25 percent rule", which prohibited tattoos that cover more than a quarter of an exposed body part. 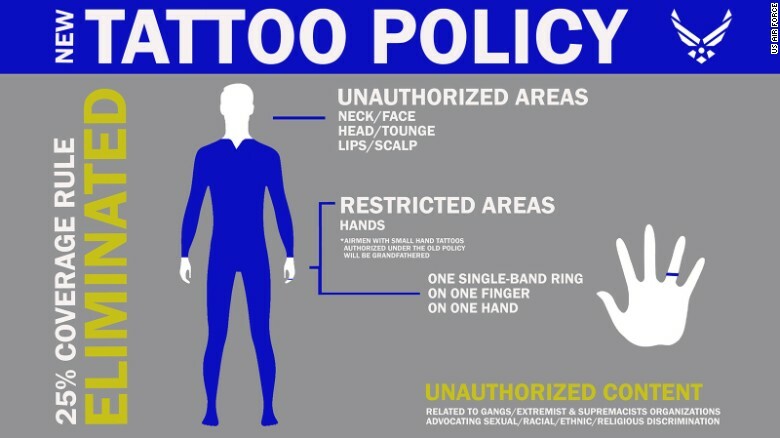 Tattoos will now be allowed on the chest, back, arms, and legs and will not be restricted by size. 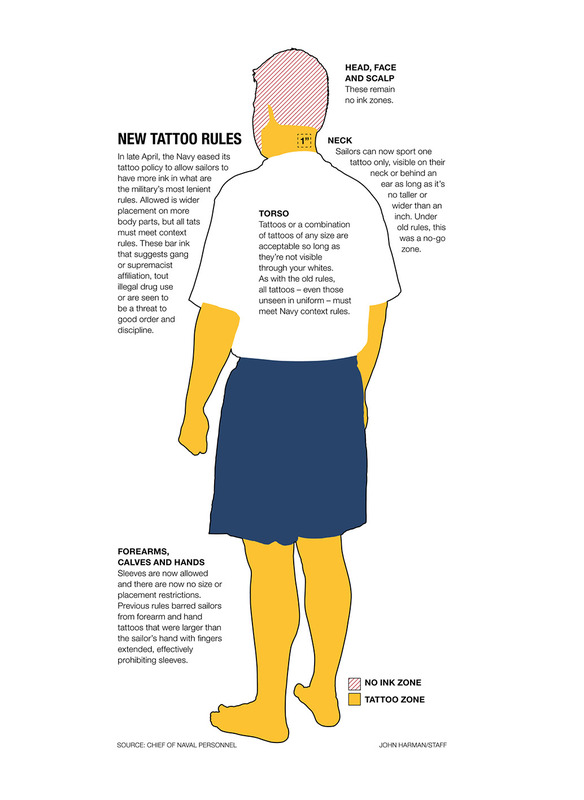 So, regarding tattoo sizing, it appears the sky's the limit in the Air Force, just so long as the tattoos remain hidden under the service dress uniform. 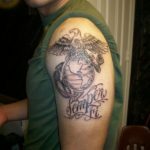 (See Marine Corps Policy) Eagles, dog tags, and anchors make up most Marine tattoos. 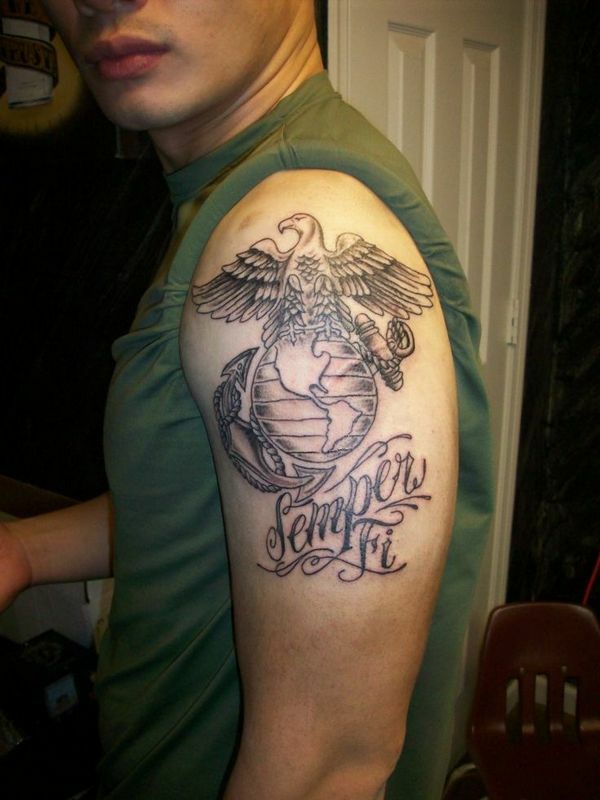 The globe is also frequently used, symbolizing the fact Marines can be found all over the world. 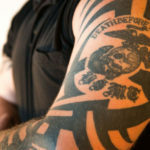 The letters USMC tend to get incorporated into the design, often surrounding whatever symbol is chosen by the Marine. 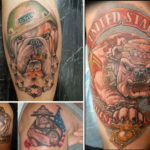 The bulldog is a loyal animal with a reputation both for tenacity and ferocity. 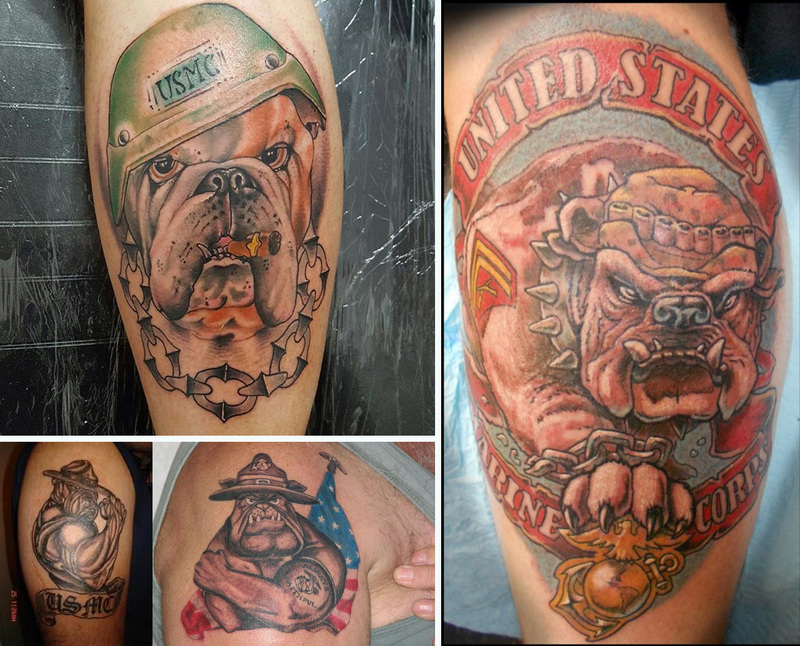 It’s easy to see why bulldogs capture a Marine’s spirit so perfectly and find their way into many Marine-themed tattoos. 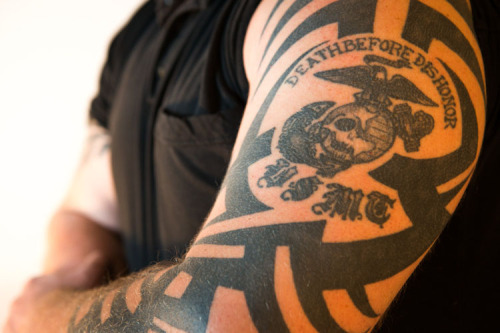 Marines also carry their sense of tradition beyond the symbols used in their design and into the location of their tattoo. 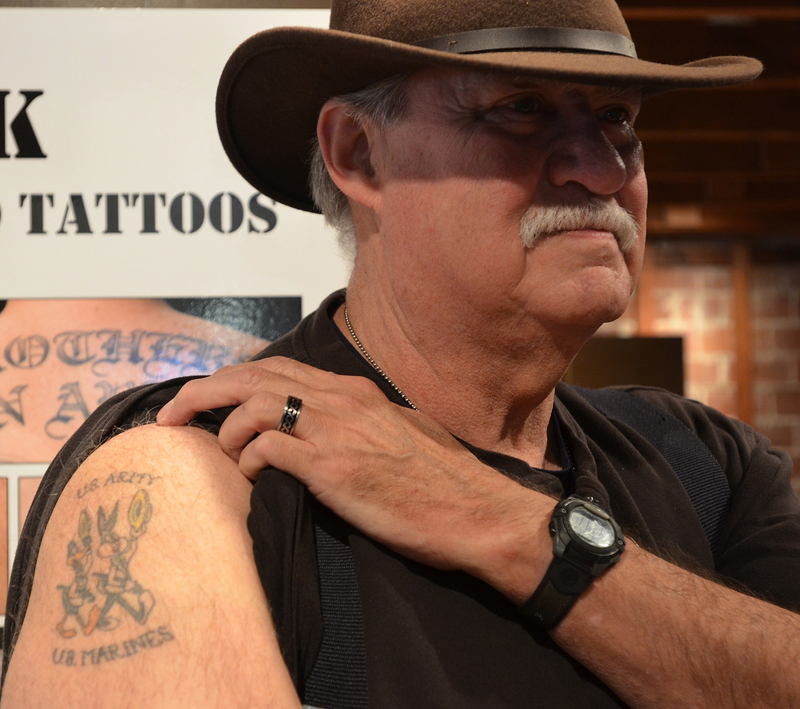 They tend to display their tattoos on open areas, such as on their shoulders, as a sign of their commitment. 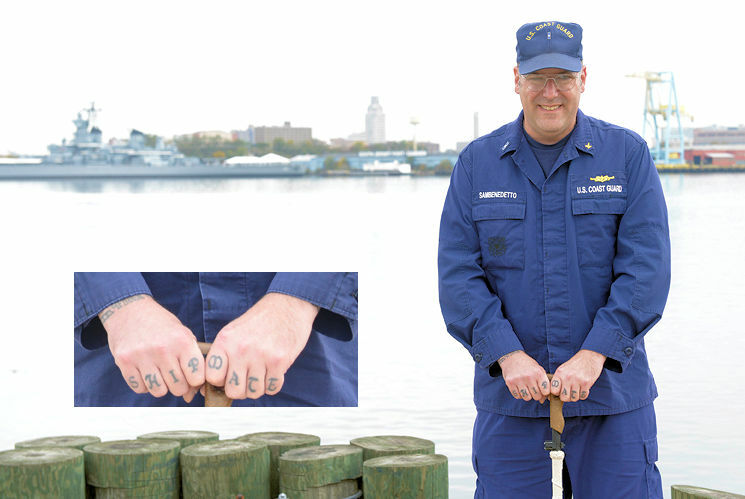 (See Coast Guard Policy) In many ways, traditional Coast Guard tattoos are similar to Naval ones, especially when it comes to the use of anchors and compasses. 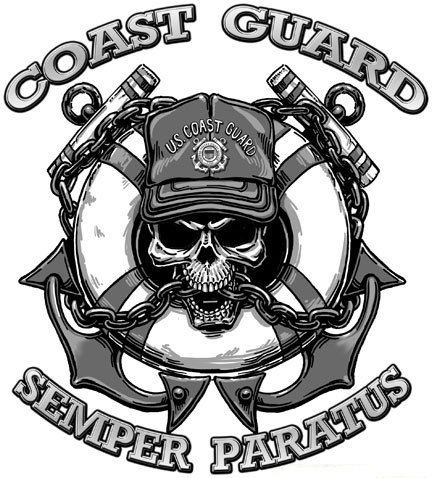 However, the Coast Guard offers a few motifs which are unique to their own branch. 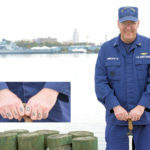 Lighthouses, shields, and medical crosses are frequently used. 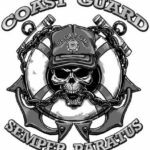 Each of these icons celebrates the Coast Guard’s mission as guardians and rescuers. As with the other branches, it’s very common to add the USCG logo to just about any tattoo. 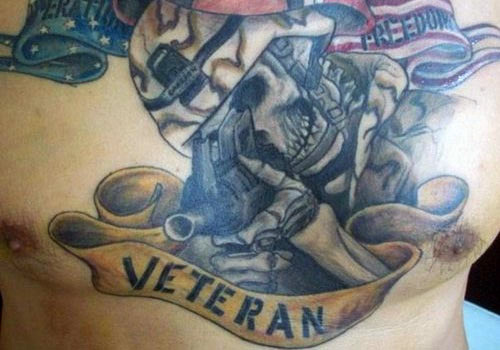 When you’re in the military your options for self-expression are limited. 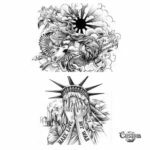 Some branches frown on tattoos, and in any branch, you may be subject to ever-shifting regulations which govern your choices to get inked. 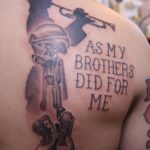 Once you’re out you may have the opportunity to get or design a tattoo that truly expresses the story you want to tell about your service and sacrifices. 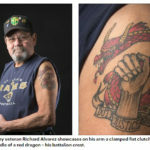 Most veterans stick to the themes favored by their old service branch, but may add new twists such as their service start and end dates, or symbols of the tours they served. 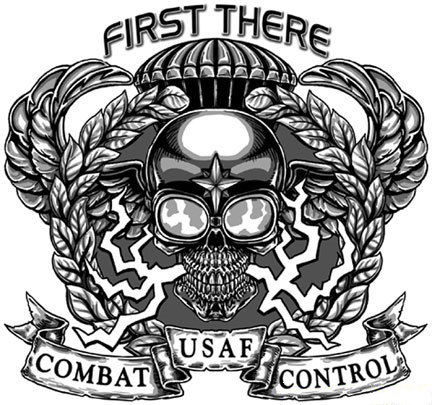 They might also start adding some symbols which have special meaning to them. 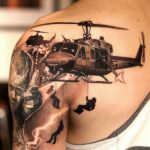 Every tattoo should be unique. 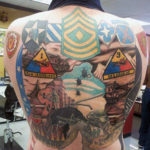 And although military themes may be common, the great military tattoos are anything but.